Illustrative image of the Kellogg Company's logo and famous branded corn flakes. Products that were potentially impacted included Rice Krispies Treats, granola clusters used in some products and puffed rice treats that Kellogg no longer makes. A criminal investigation is underway after a video surfaced online showing a man urinating on a Kellogg factory assembly line, the company said. The company says it learned of the video Friday and immediately alerted law enforcement authorities and regulators. A criminal investigation is being conducted by the U.S. Food and Drug Administration's Office of Criminal Investigation, the company said. A representative for the FDA did not immediately respond when asked for comment. The graphic video shows a man urinating on an assembly line, then pans to a sign with the Kellogg logo. 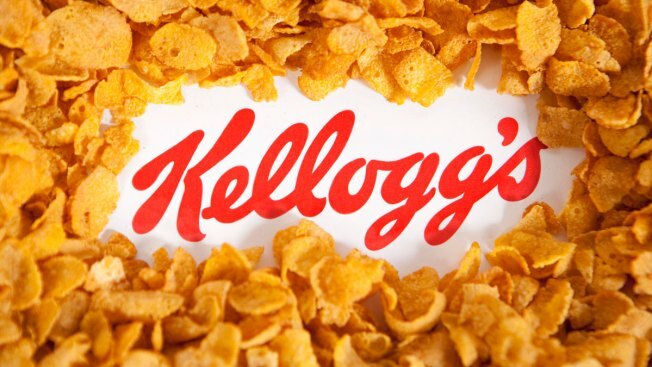 Kellogg said its own investigation determined the video was recorded at its Memphis, Tennessee, factory in 2014. "It is important to note that any products that could be potentially impacted would be very limited and past their expiration dates," the company said. It says the products that were potentially impacted include Rice Krispies Treats, granola clusters used in some products and puffed rice treats that it no longer makes. "We are outraged by this completely unacceptable situation, and we will work closely with authorities to prosecute to the full extent of the law," the company said. Kellogg said it is still working to identify the individual in the video.